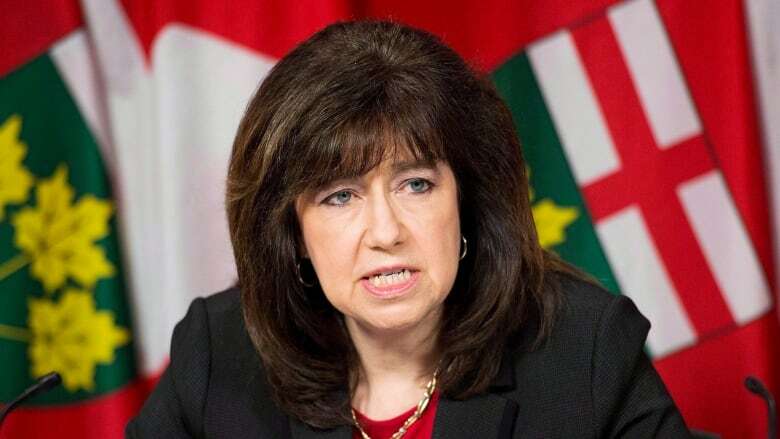 Ontario's Auditor General Bonnie Lysyk has a bucketful of criticism for how Kathleen Wynne's Liberal government is spending tax dollars. In her new annual report released Wednesday, Lysyk bemoans "excessive" wait times for hospital beds, reveals shoddy highway paving by contractors, and unveils that the government's own projection for its cap and trade program will see the majority of its cuts to greenhouse gas emissions come from outside Ontario, despite its $2 billion yearly price tag. Lysyk reveals that the province's cap and trade program, due to take effect on Jan. 1, 2017, is projected to make only one-fifth of its targeted greenhouse gas reductions in Ontario. The remainder, says Lysyk, are expected to happen in California and Quebec, as Ontario companies purchase carbon-emission permits from firms in that state and province that have already gone green. The auditor projects the costs of cap and trade to businesses and individuals in the province over the next four years will total $8 billion. "These funds may be leaving the Ontario economy for no other purpose than to help the government claim it has met a target," she said in a statement. The auditor found that the Transportation Ministry is allowing contractors to pave the province's highways with "substandard" asphalt, forcing costly repairs within as little as a year on roads that should last 15 years. "Premature cracks in pavement have significantly increased the ministry's highway-repair costs," Lysyk said in a statement. In a sample of paving contracts worth $143 million, she found that taxpayers had to spend another $23 million on repairs within three years. She revealed the government pays contractors about $8 million a year in bonuses just for using the quality of asphalt set out in its contracts, and continued paying bonuses even though it knew some contractors tampered with asphalt samples. The auditor also chastised the ministry for continuing to award projects to contractors who performed poor-quality work and breached safety regulations. Much of Lysyk's report focuses on health care, including hospital wait times, payments to physicians, mental health services, and the eHealth agency's work on creating computerized medical records. She finds emergency room patients who get admitted to hospital are waiting far too long for beds on the wards. Her survey of three large community hospitals found they are dramatically missing their Health Ministry targets for getting 90 per cent of patients into beds: it's taking 23 hours for intensive care unit patients and 37 hours for other acute-care wards. Lysyk found more than 4,100 of Ontario's 31,000 hospital beds are occupied unnecessarily by patients waiting for long-term care or home care, contributing to the delays. An audit of the province's 57 largest community hospitals also found wait times for elective surgeries have not improved in the past five years. This is blamed partly on inefficient use of operating rooms, typically closed evenings, weekends and in some cases many weeks during the summer. The government's attempts to get family doctors to see patients more quickly come in for criticism. The auditor finds 57 per cent of Ontarians are waiting two days or longer to see their family doctor, up from 51 per cent in 2006-07. Lysyk found patients using walk-in clinics, emergency rooms and family doctors other than their own are costing taxpayers millions in duplicate payments. She said many doctors in group practices are failing to work the number of nights and weekends the ministry requires under its payment scheme. The government is ramping up its use of public funds on advertisements that Lysyk says are designed solely to make the Wynne Liberals "look good." Spending on advertising jumped to $50 million in the 2015-16 fiscal year, up from $30 million the previous year. This comes after the government pushed through changes in the law to weaken the auditor's powers to reject government advertising as partisan. Metrolinx is failing to take action against contractors for delays and poor-quality work in its billions of dollars worth of transit expansion projects in the Greater Toronto Area. The auditor found Metrolinx terminated one construction contract over poor performance, then rehired the same contractor for another job. The province is spending more than $1 billion a year on employment programs that are having minimal success at getting participants into full-time jobs. The government is not collecting information about the job skills that are in demand in various regions of the province, so can't ensure it is directing funds toward the right kind of employment, the auditor concludes.